This whiskey flask shaped cage is for keeping crickets. Chinese have been keeping crickets since the Tang dynasty, however, very few of them as been kept as pet but rather as fighters. Cricket has a life span of around 100 days, cricket match traditionally take place in autumn, it is said that the word “autumn” 秋 represented 2 crickets. Cricket fight is banned in Hong Kong, so good to say that those raised here are only as pets for admiration. This cage has 3 compartments, 2 small ones on the upper deck and 1 at the lower deck. As each male cricket need to be isolated to avoid conflicts, 3 can be raised in this single cage. 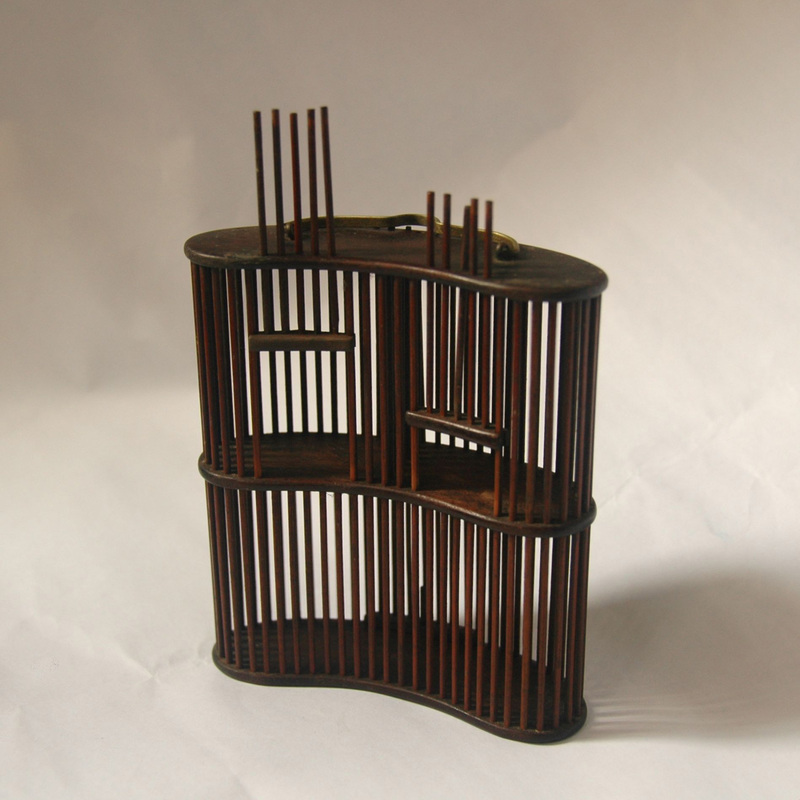 As in all the Chinese bamboo cage design, if you look closely at a gate, one of the bars is shorter, this acts as a safety lock so that the gate cannot open accidental. For a more natural cricket cage, see the entry gourd cricket cage. on a site or I have something to add to the discussion. post I looked at. And on this post Cricket Cage | Mountain Folkcraft. we are so happy that you enjoy reading our blog. yes we are also on twitter and facebook, they share the feed from the blog. personally, i like the graphic of the blog over the other 2.